Obituary for Eleanor Gould | Seamon-Wilsey Funeral Home, Inc.
AGAWAM, MA…..Eleanor G. Gould, 88, a former long-time resident of Edith Ave. in Saugerties, passed away December 2, 2018 in Agawam, Massachusetts after battling a lengthy illness. Born February 25, 1930 in Newark, NJ to the late Russell Thomas and Mary Ann (Gazell) Weaver. As a young woman, Eleanor worked as a switchboard operator for Channel Master, in Ellenville, NY. It was there that she earned the nickname “Ezzie” and where she also met her beloved husband Lin. They spent many happy years together, and recently celebrated their 62nd anniversary last month..
Later in life Eleanor became a stay-at-home mom, who loved not only her family, but music and gardening as well. She also was a prolific sewer who specialized in creating gorgeous hand quilted quilts. 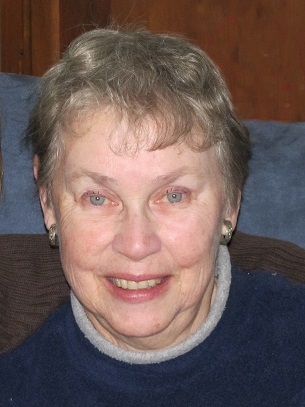 Eleanor was a member of the Saugerties Reformed Church for over 50 years. For most of that time she could be found in the choir loft using her beautiful soprano voice to praise her Lord and Savior. She is survived by her loving family, husband Lindley Gould Jr. currently of Agawam, Mass., a son Russell Gould of Newville, PA, and his wife Donna; and a daughter Tracey Sommers of Tolland CT, and her husband Tim, and three grandchildren. Her Funeral Service will be held 11:00 AM Friday at the Seamon-Wilsey Funeral Home, Inc. Cor. Of John & Lafayette Sts., Saugerties. Friends will be received Friday from 10:00 AM -11:00 AM. Private Burial will follow in the Hudler Cemetery, Mt. Tremper.